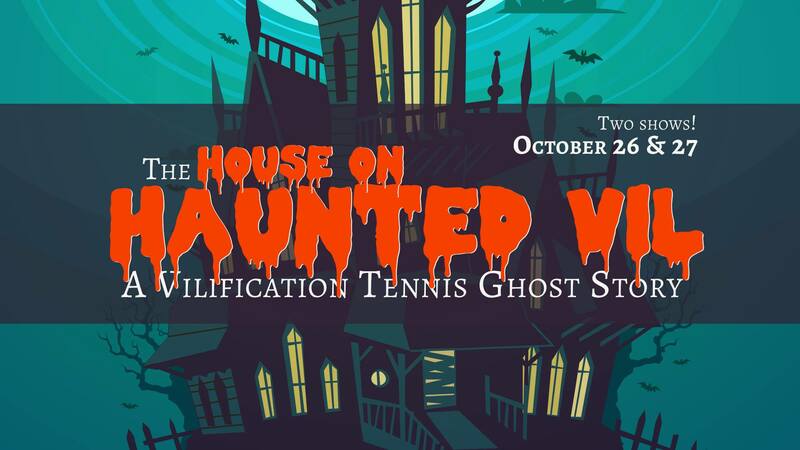 Vilification Tennis is an insult-comedy show wherein two teams of two insult each other back and forth. That's it. That's all we do. Except for when we do improv, musicals, audience games, tests of skills, and game shows.